Taylor's career has always revolved around helping individuals and families with their financial assets, beginning by selling tens of millions in real estate across luxury markets such as New York, NY, Jackson Hole, WY, La Jolla, CA, and Bellevue, WA. So when she pursued law school, it made perfect sense for her to hone in on estate planning, where she could then help her clients protect their families and their financial assets. 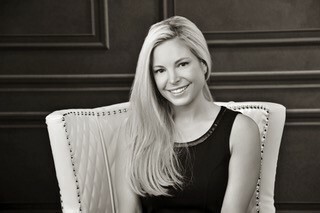 Taylor did not want to leave any of her passions behind, however, in her law practice. As an avid animal lover having worked to improve animals' positions in society since she was a child, Taylor decided to figure out how to protect animals through her clients' estate plans as well. Known as the "Pet Trust" specialist by all who know her, Taylor can help you easily incorporate your furry loved one into your estate plan as well. With the Humane Society estimating that over a half a million pets end up homeless each year due to improper planning and failed agreements, Taylor advocates to never leave your pet out of your written plan.